I am totally making these DIY ottoman's for my dream home via casa.com.br! You can also view the full English tutorial via Handimania. 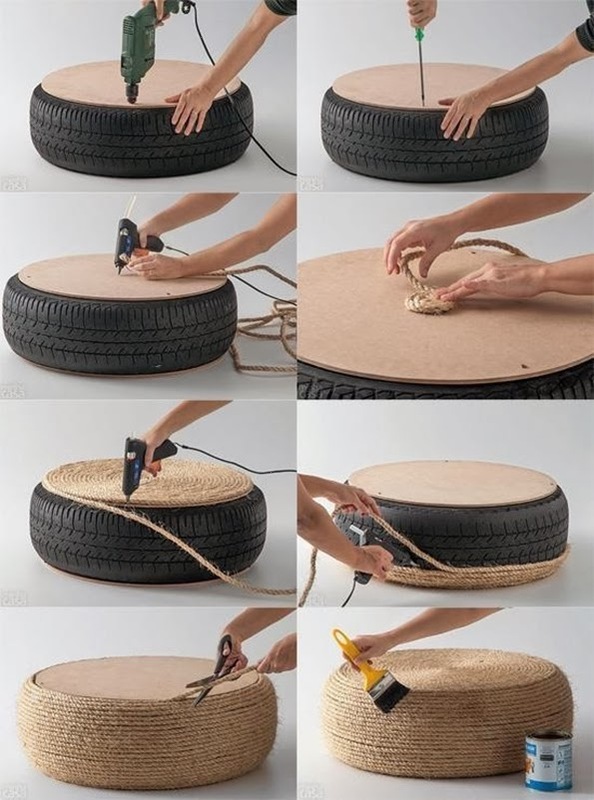 - A tire, MDF (Medium-density fibreboard) cut into two circles of 55 cm diameter, Six screws, a drill, a screwdriver, hot glue gun with at least 6 tubes of glue, 5m long and 10mm thick natural sisal twisted rope, a cloth, scissors and concentrated brush sealer. 1. Place one MDF on a tire, drill three holes and screw your MDF tightly. 2. With the hot glue gun, apply the glue on the board and secure one end of rope. Press the tip to adhere well and go round in a snail shape. 3. After you have finished covering MDF with a rope, do the same with the edge of your tire. Go around putting enough glue. MDF base, as it will be lying directly on the ground. 5. Apply the sealer to the brush and cover all surface with it. Wait one hour before you put another coat on it. This sealer is ready to touch after one day but the complete drying takes two weeks! 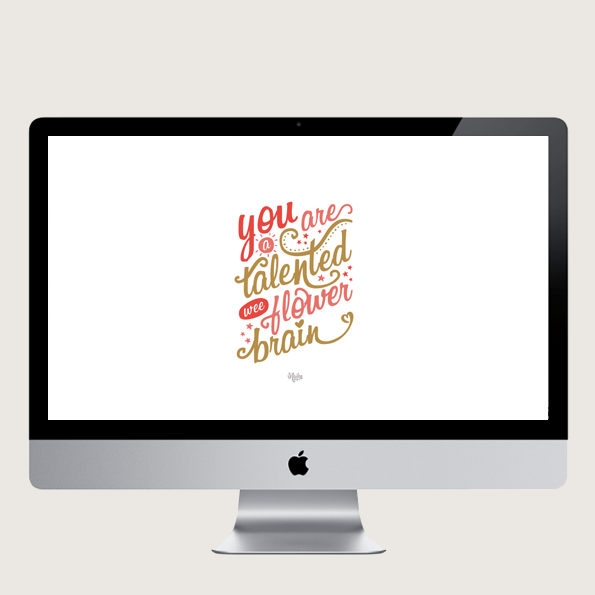 So this super fly gal told me recently I was a 'talented wee flower brain'. What a gorgeous thing to say to someone! I loved it so much I made it into a print and now also available as a wallpaper. I will have plenty more wallpapers coming so stay tuned! 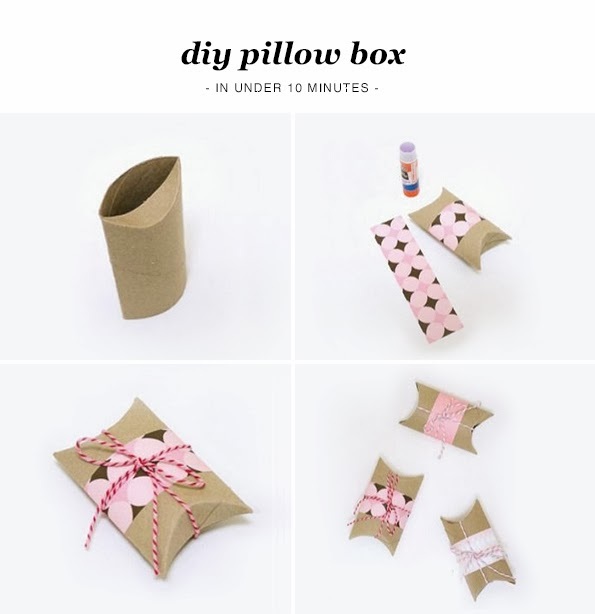 These cute little pillows boxes by Practically Functional are the perfect way to spread a bit of love on Valentine’s Day; fill them with candy, or add a love note, and pass them out! They only take about ten minutes to make and you only need an empty toilet paper tube, a strip of paper, and some string! Make sure you check out their blog here for their full tutorial!